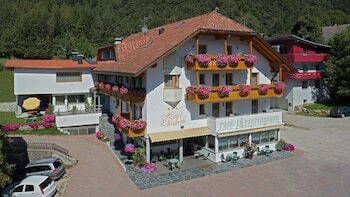 Located in Chienes, Hotel Elisabeth is in the mountains, a 4-minute drive from Adventure Park Kronaction and 9 minutes from Loden Museum. Featured amenities include multilingual staff, luggage storage, and an elevator (lift). Free self parking is available onsite. When you stay at Casale Kolidur in Guardiaregia, you'll be 13 minutes by car from Altilia Archaeological Site. The front desk is staffed during limited hours. Free self parking is available onsite. Located in Venice (Santa Croce), this apartment is within a 10-minute walk of St. Mary of the Friars and Ca' Rezzonico. A stay at Albatro Rooms places you in the heart of Catania, within a 15-minute walk of Catania Cathedral and Elephant Fountain. A stay at this apartment places you in the heart of Rome, steps from Trevi Fountain and Spanish Steps. A roundtrip airport shuttle is provided for a surcharge (available 24 hours).